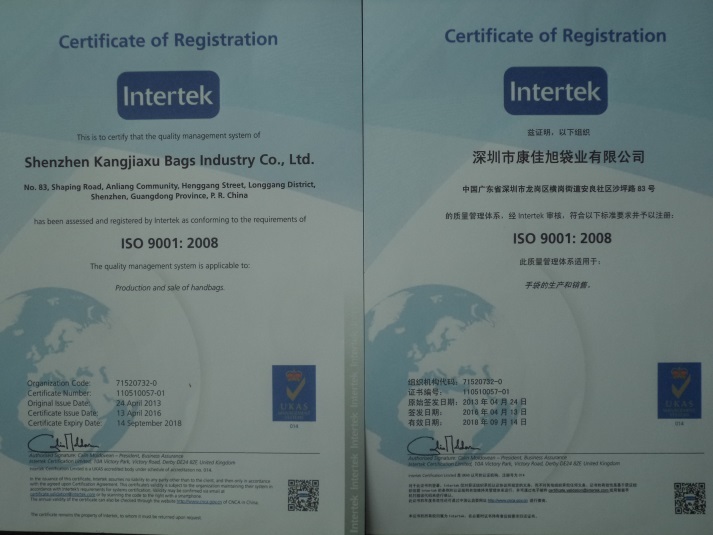 Company Overview - Shenzhen Kangjiaxu Bags Industry Co., Ltd.
15YRSShenzhen Kangjiaxu Bags Industry Co., Ltd.
Shenzhen Kangjiaxu Bags Industry Co., Ltd. is a professional manufacturer in the field of luggage, bags and cases. 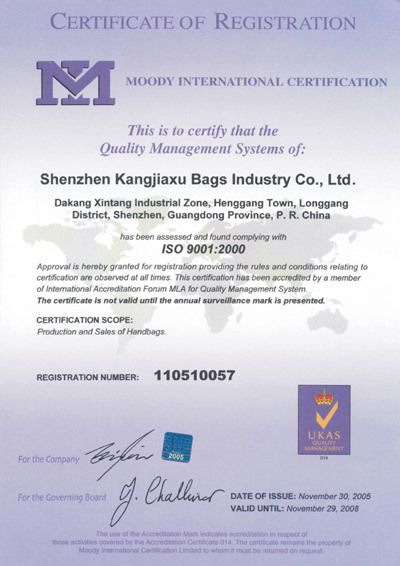 Since founded in 1997, we have always committed ourselves to manufacture high-quality bags and provide excellent sales and after-sales service for our client. 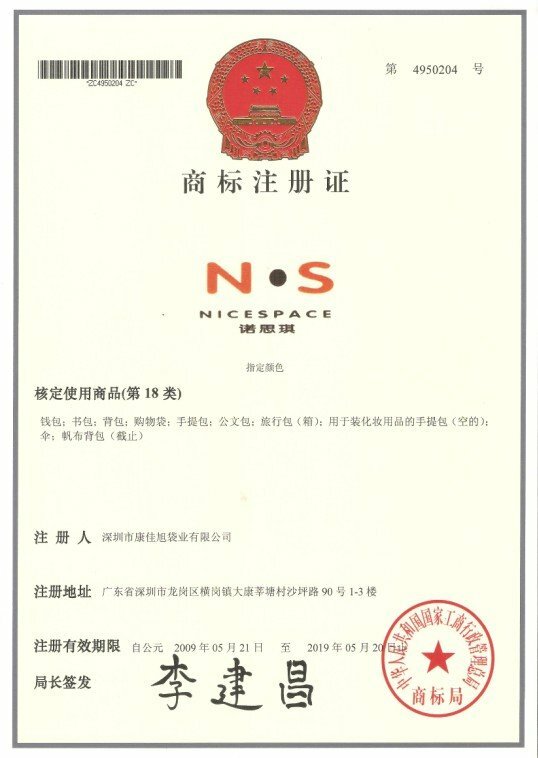 Our factory located in Shenzhen Henggang industrial park and occupied more than 10,000 square meters with 600 empolyees, we have effective management system and wide selling network,our branch offices have covered in Shanghai,Peiking and Hong Kong.We have created our own Brand-NICE SPACE and exported it all over the world,Our goods has gained a good reputation worldwide.we have our own R&D department which can design any kinds of bags according to client's demand,but we also welcome OEM from any countries.There is a dynamic team in our factorymading up of various of professional talents in designing, manufacturing, quality-controlling and selling. 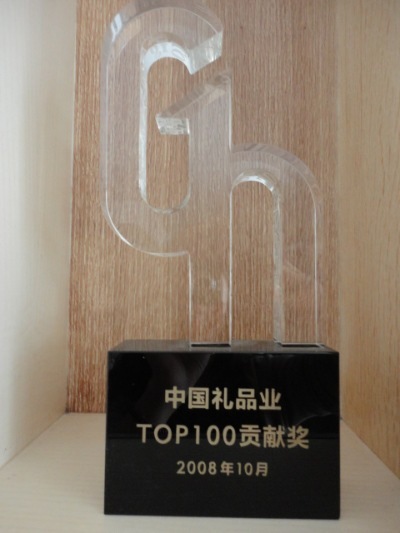 With those excellent talents and advanced equipments, perfect quality-controlling system and matched silkscreen workshop, we are able to satisfy customers' changing needs effectively, and can fulfill their specifications in a positive manner. "Quality is the life of our enterprise", Guided under this principle we have integrated an ERP/MRP system and have been certified under the ISO9001:2000 Standard, so we can keep abreast with international market's demand and to assure the highest quality products in a short lead time.If you are interested in our company and products,pls don't hesitate to contact with us ,we will offer our best price with good quality for you.We wish to create splendid achievements with you in the future. 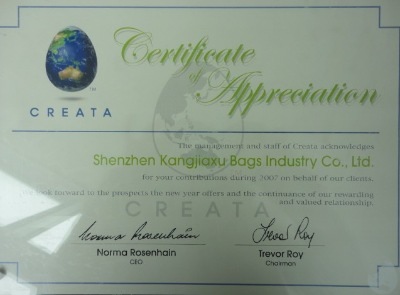 Production and sale of handbags. 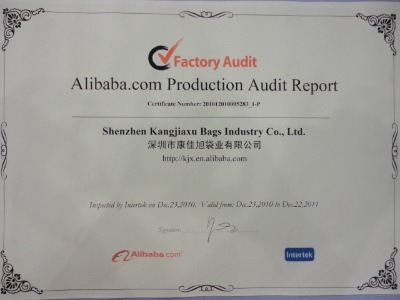 Production and Sales of handbags.